Thank you for considering All Washed Up Power Washing and Exterior Cleaning for your exterior cleaning needs. All Washed Up Power Washing and Exterior Cleaning located in Rockland County, NY is owned and operated by me, John Devine. I am on the job from beginning to end and I will put 110% into each job all the time. Customer satisfaction is what I care most about. Power washing is only part of the job. I pride myself on honesty and reliability. Several customers have called me meticulous and very thorough. Your property is treated with nothing but respect and utmost care. 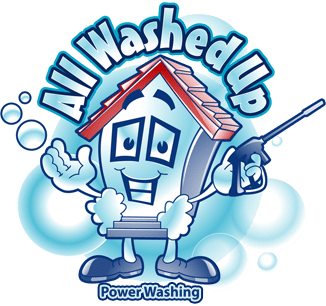 Call All Washed Up Power Washing and Exterior Cleaning and find out why I am the premier power washer in Rockland County, NY. Licensed, Insured and Accredited with the Better Business Bureau. Free consultations and estimates are just a click away! Driveways, garages, sheds, patios, patio furniture, and wood deck restoration. All homes are soft washed to protect your most valuable asset, your home. High-pressure water can do serious damage to your house. Wood decks power washed and stained. Composite style decks also cleaned. Removal of mold, algae, and dirt. Remove ugly black streaks so that your gutters look brand new.